EVERY OF THE STUFF: SOS // Apprentice with Son of a Sailor! SOS // Apprentice with Son of a Sailor! If you haven't heard of the fantastic organization that is GirlsGuild, we're sure excited to enlighten you. 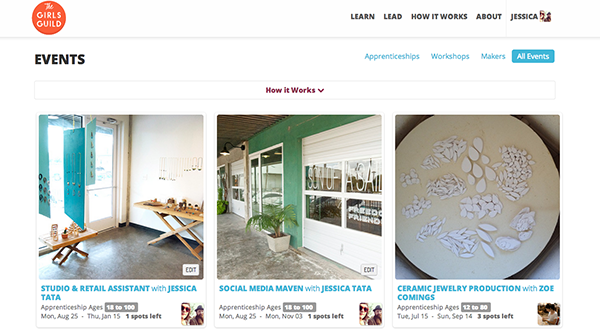 GirlsGuild is a service offering apprenticeships "for girls, by girls" in a multitude of creative disciplines, from photography to wedding planning to jewelry making. Son of a Sailor has had four AMAZING apprentices—two of whom (Amanda and Mallory!) went on to join our team as a studio manager and production assistant, respectively. We're now looking for two new and wonderful apprentices for the holiday season.